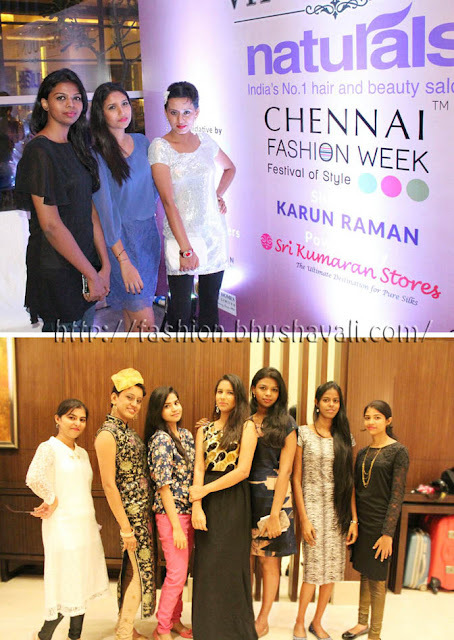 Chennai Fashion Week 2015 - My Outfits & crazy selfies! Finally here are my OOTDs for Chennai Fashion Week. Here's what I wore on Day 1. I opted for a monochromatic look - Silver & Black. As accents I added red on my bracelet & lips!!! 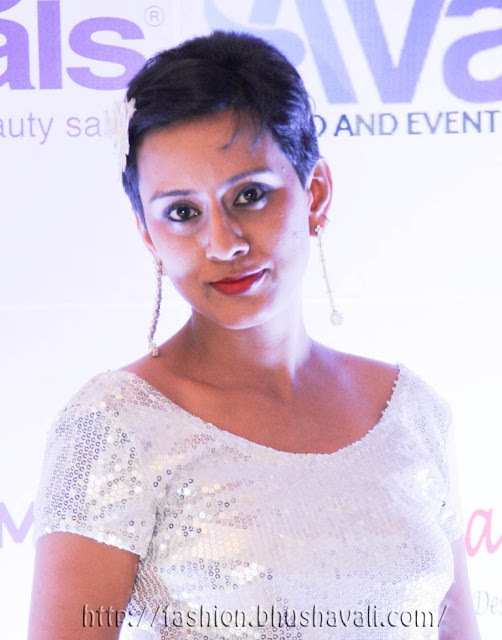 With me here is Pavithra, of Makeup Martini. Day 2 I opted for the traditional Chinese outfit, Cheongsam. I bought it long back (almost 4 yrs back) on my trip to China. I was definitely not sure, if I was gonna fit into it. But very gladly I did fit into it!!! Yippee!!! ..and that's the whole bunch of Chennai bloggers who attended the event! And yeah, got crazy with a bit of selfies, or should I call it groupfies?!!! That's gorgeous ramp & print model Pradhayini in the first pic. Below that is myself and Pavithra with Karun Raman, whose brain child was this event. 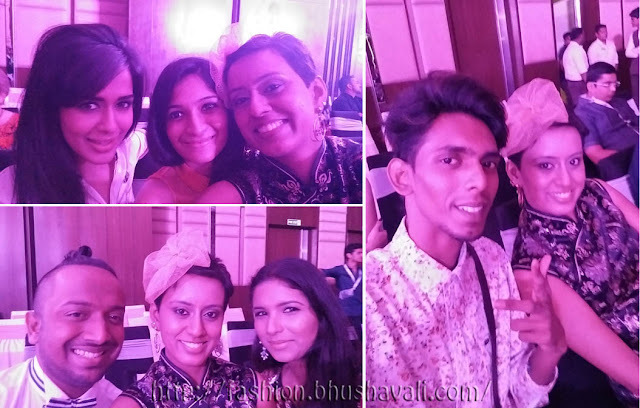 And here I also got to meet Purushu Arie, a fashion blogger from Delhi! This seems like such a cool event! Gorgeous photos, the outfit suits you so well! Selfies r d best thing ever! Love the silver outfit! Look fab! Bhusha you are looking incredibly beautiful and glamorous in your gorgeous outfit ! You look lovely in both outfits. And love that Chinese dress! You looked gorgeous, babe! I love it!